The Greensboro Arm Wrestling League is proud to announce that GRAWL Brawl VIII: Ladies of the 80s will benefit the ARC of Greensboro’s RemARCable CommUNITY program. The event will be held at the new Gibb’s Hundred location, 504 State St., at 7 pm, June 2. 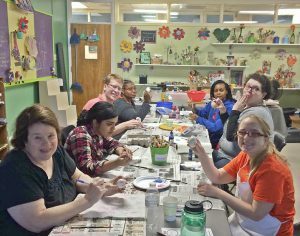 The Arc of Greensboro has a wide range of programs that give people with intellectual and developmental disabilities the opportunity to realize their goals of where and how they learn, live, work, and play. 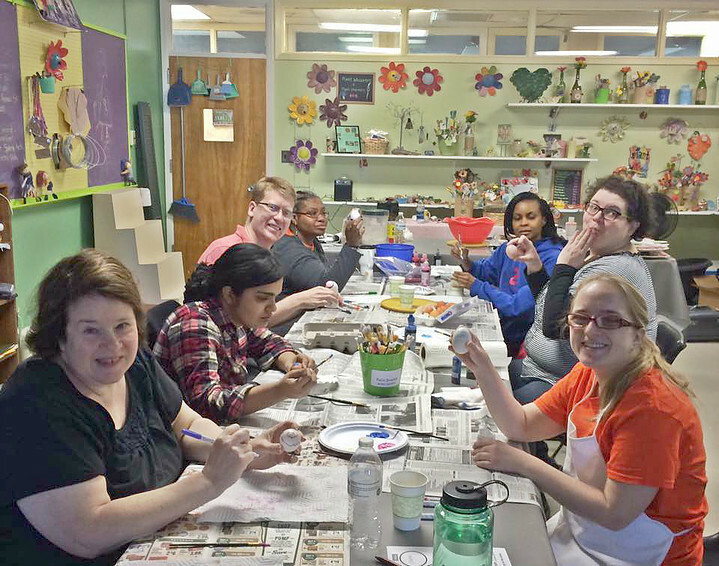 Formerly known as Able Earth Clay Creations, the RemArcable CommUNITY program is for adults. It incorporates art, gardening, exercise and nutrition, and encourages health, happiness, and wellness in an inclusive, creative and educational learning environment. The program empowers adults with intellectual or development disabilities to take an active role in their own well-being while increasing their understanding of the importance of health in our community. Participants work side by side with staff, volunteers, local artists and other organizations to harness resources, develop life skills and become more active in their local community. The goal is to help participants become more self-sufficient, independent members of the community. The money raised through ticket sales and GRAWLbux will go to provide financial assistance for participants. It costs $3,600 per year to attend RemArcable CommUNITY.